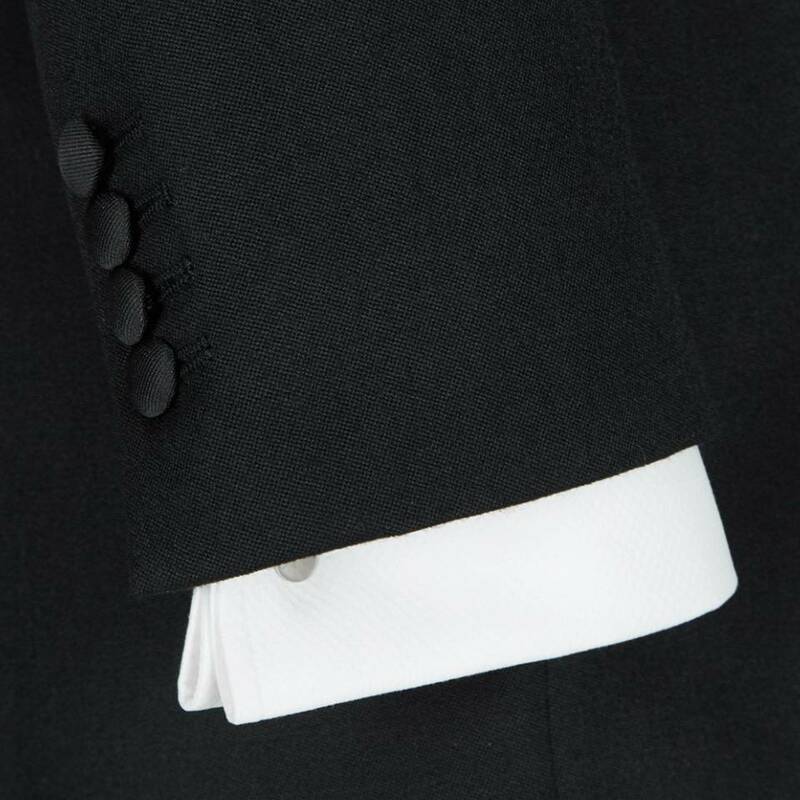 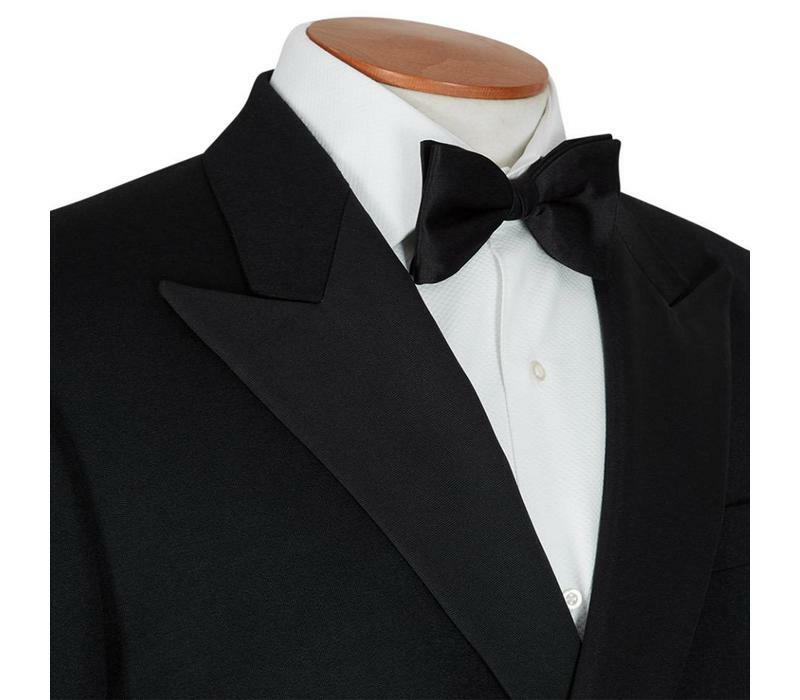 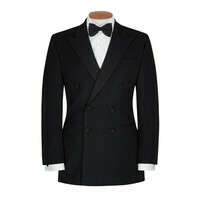 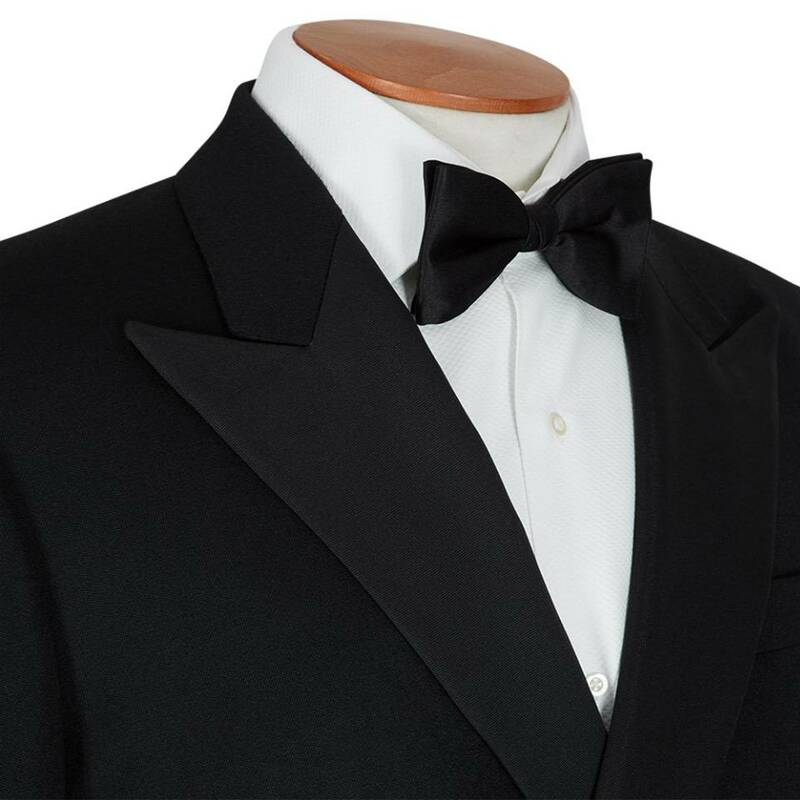 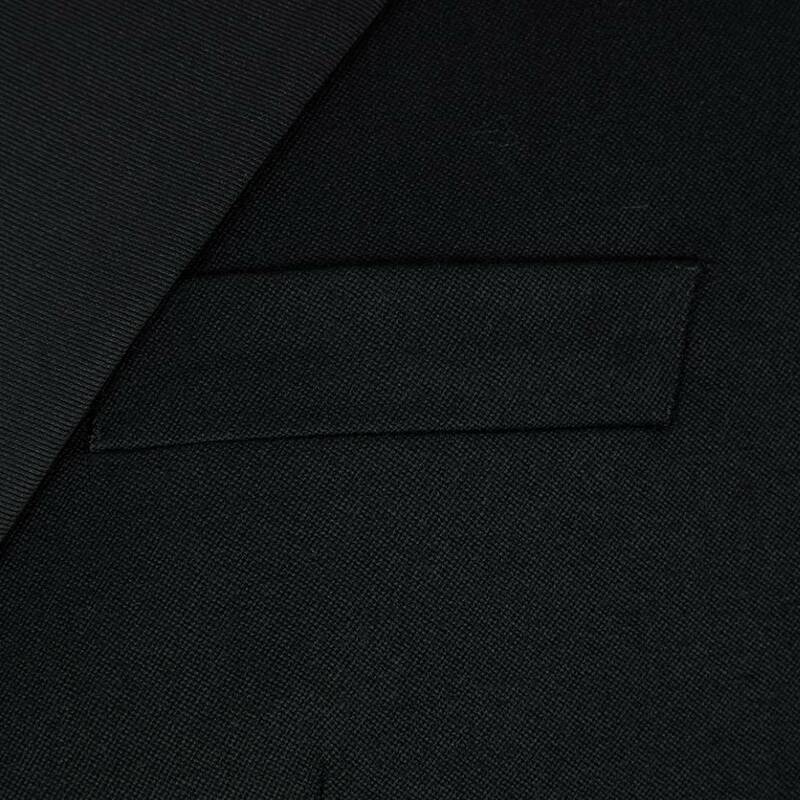 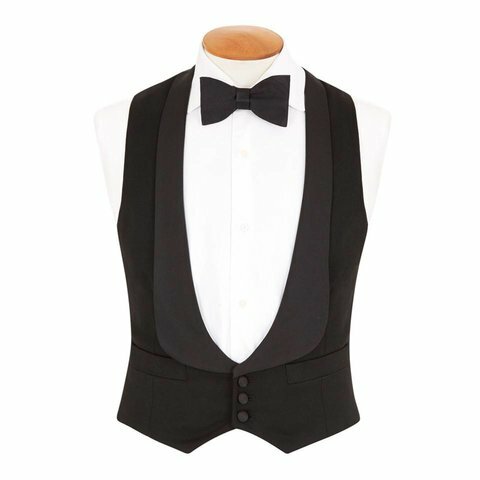 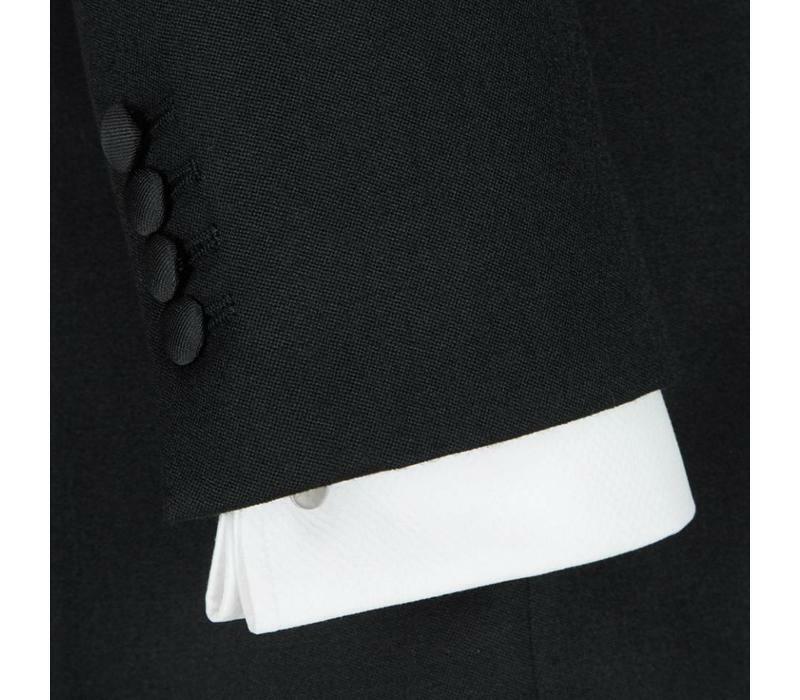 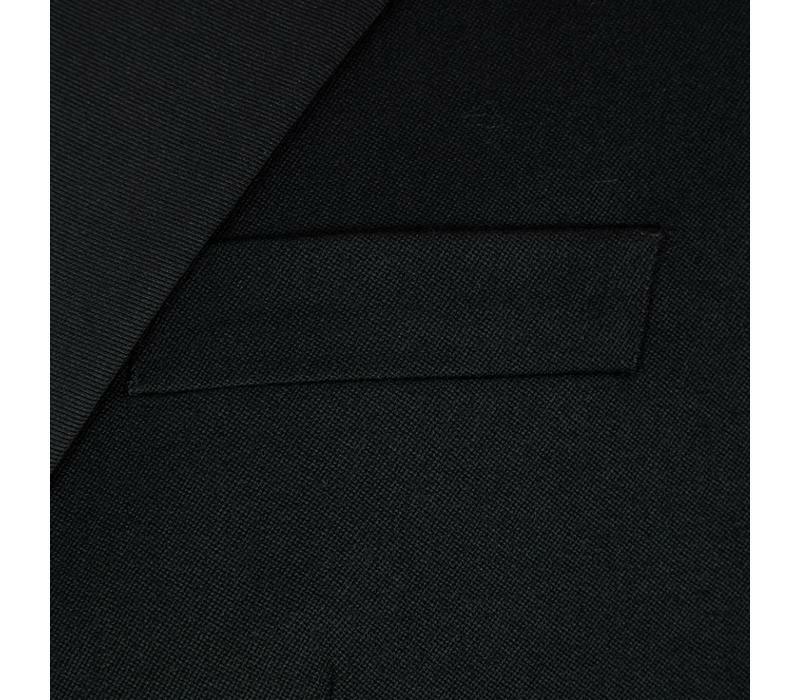 The classic double-breasted dinner jacket is always in high demand both for rental and purchase. 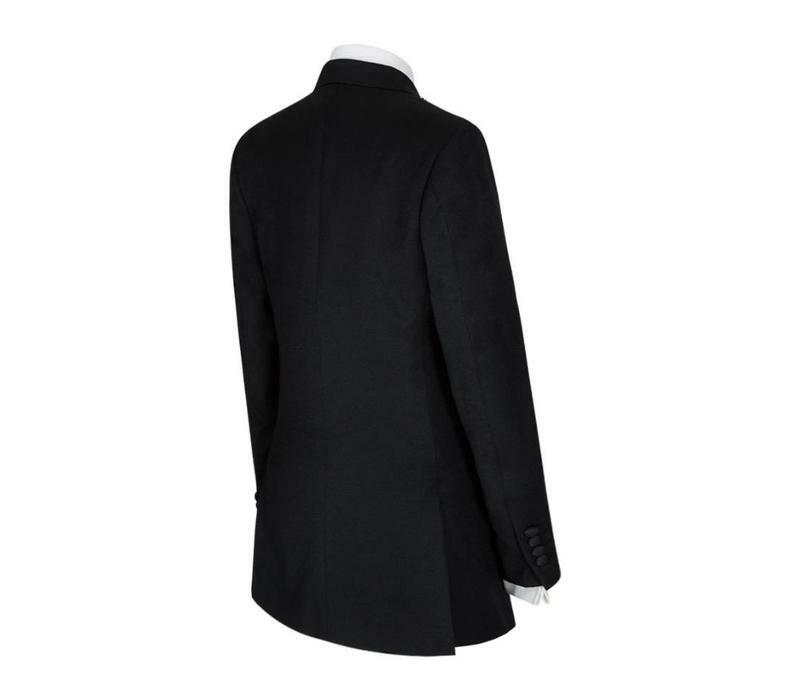 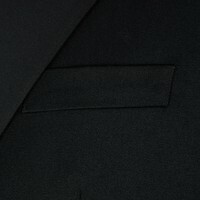 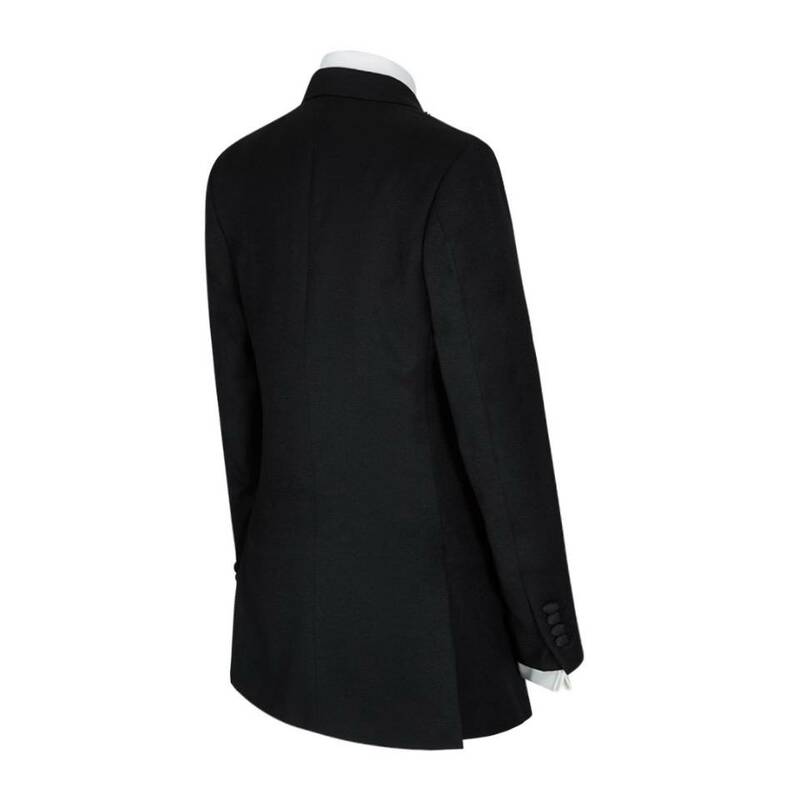 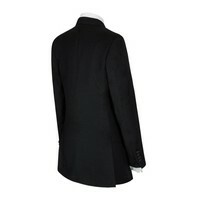 The jacket is made from black barathea wool and has a four-button working cuff a peak collar, and corded silk lapels. 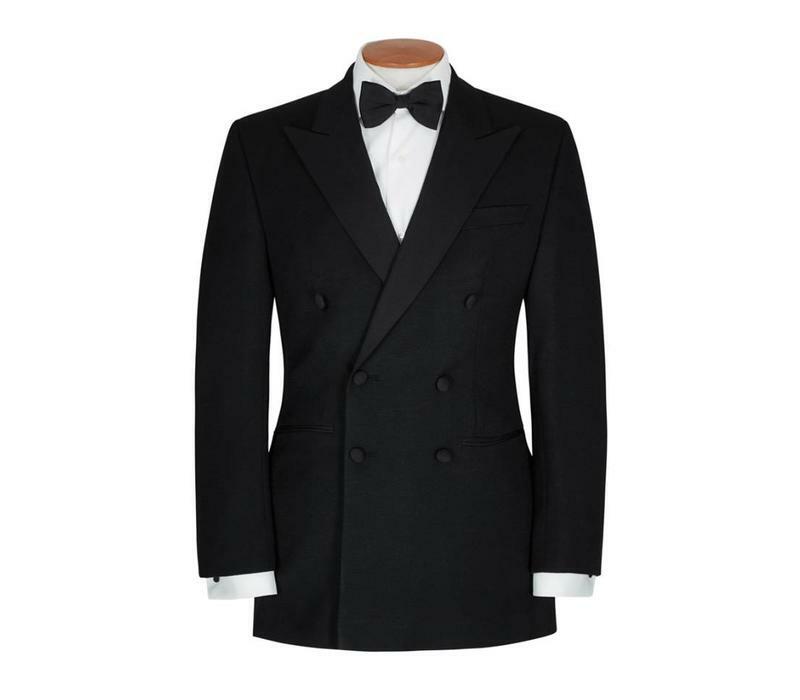 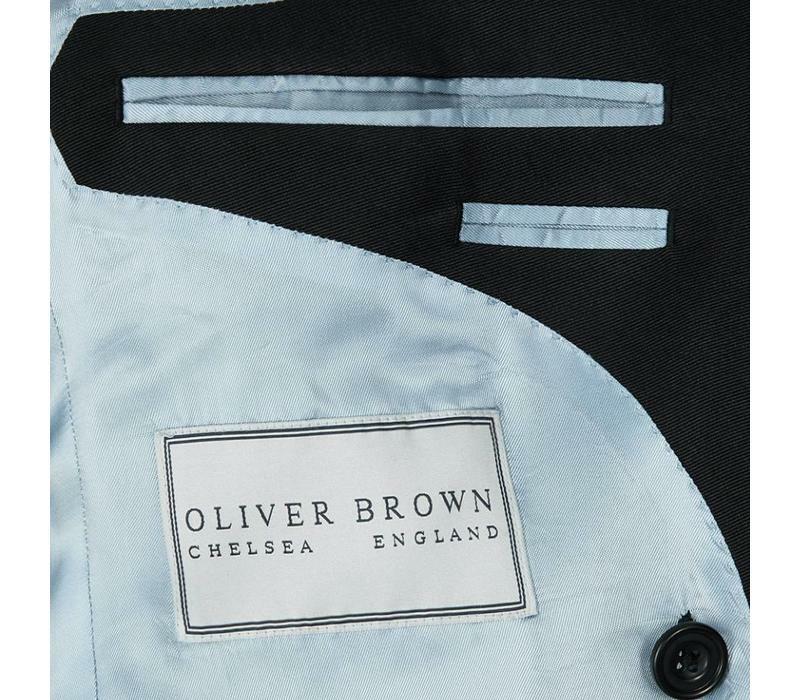 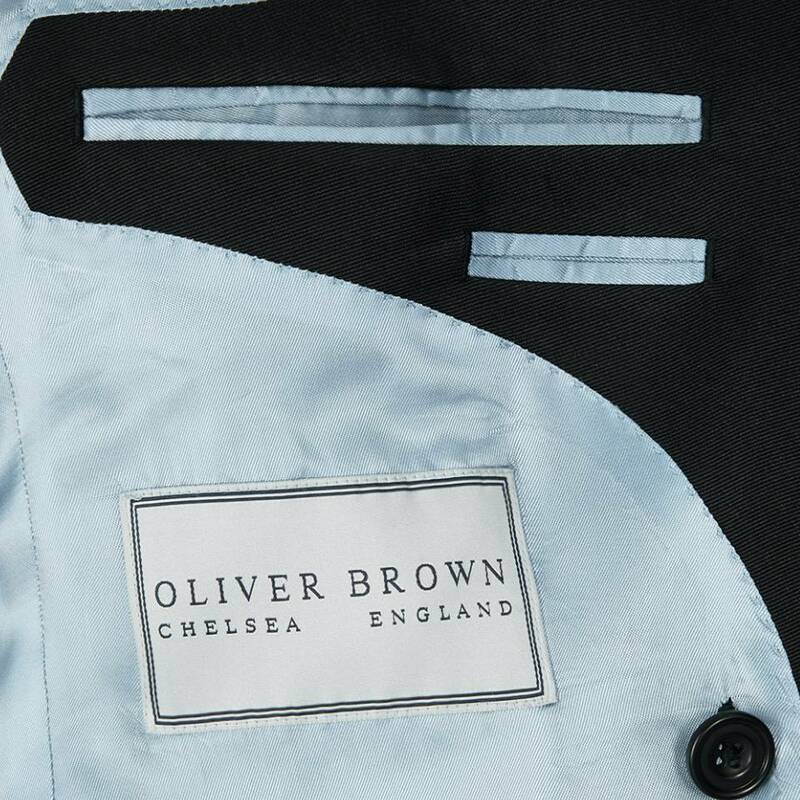 Most of our ex-rental suits have only been worn on 2 or 3 occasions, and are most often bought by returning customers who simply wish to ‘try before they buy’. 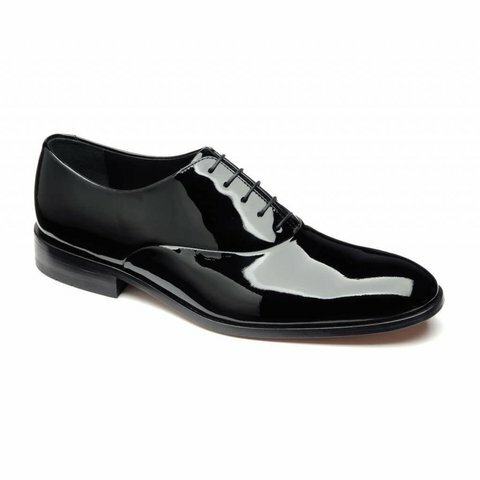 PLEASE USE THE FOLLOWING LINK FOR THE MATCHING TROUSERS.